The growth of golf in China has been incredible and there are generally reckoned to be more than 650 golf courses in China although the Chinese authorities are now cracking down and many golf courses have been forced to close. It's also difficult estimate exactly how many golfers there are in China. Some people think that the number is around several hundred thousand and others think it could be as high as a million. Whatever the true number, one thing is certain and that the number of golfer in China will continue to increase. It is generally recognised that golf was invented in Scotland but some believe that many years before this the Chinese were playing a game with striking similarities to golf. In the Chinese version of the game players used up to ten different clubs to hit different sized balls made of wood. 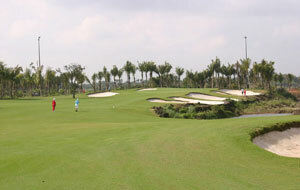 There are so many great golf courses in and around Shanghai that its difficult to mention them all here. The Agile Binhai Golf Club Shanghai is one of the top courses with two international standard courses, one designed by Peter Thomson. Lake Malaren Golf Club Shanghai has hosted the Lake Malaren Shanghai Masters for the last 5 years, a competition which has attracted top golfers from around the world. 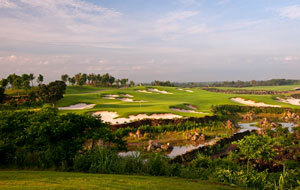 Nine Dragons Admirals Golf Club Shanghai is located about 90 minutes from the city in a beautiful scenic location on the east coast. Sheshan International Golf Club is one of Shanghai's most exclusive private golf clubs and is the host course for the annual HSBC Championship Tournament. 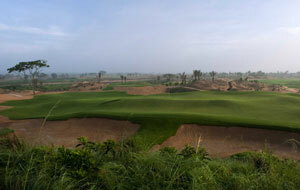 Nowhere has the China golfing craze been more evident than in Beijing with new golf courses sprouting up everywhere. Again, no one is sure how many golf course there are in Beijing with some estimates putting the number at around 70 and many of them are illegal. 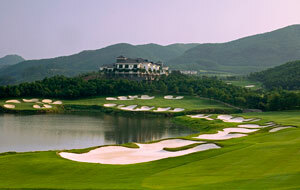 Kunming is a leading golf destination in China with 15 courses less than two hours’ drive. 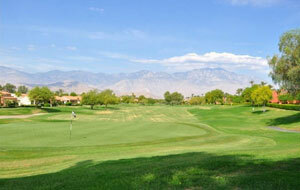 The region is also helped by the excellent year-round weather conditions. 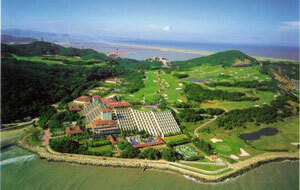 The pick of the courses is Spring City which sits 1700 metres above sea level. With two championship courses, one designed by Jack Nicklaus and the other by Robert Trent-Jones Lake Course the club is still ranked in the US Golf Digest list of the bdest 100 courses in the world outside the USA. The Stoneforest International Country Cub covers a huge area with three 18-hole championship golf course all designed by world-famous golf course architect, Brian Curley. 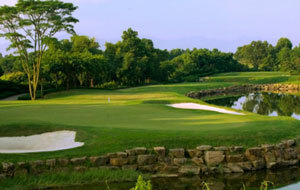 Guangdong, the first province to actively promote golf in China, is now home to more than 70 golf clubs lead of course by Mission Hill Golf Club which consists of two resorts – one in Shenzhen and the other in Dongguan, it is the largest golf club in the world with 12 courses, all designed by some the most iconic names in golf. Hong Kong has only six golf clubs with ten golf courses between them these include two public golf courses: Kau Sai Chau Public Golf Course with its three courses and Sky City Nine Eagles which is is an executive 9-hole golf course. The Hong Kong Golf Club is the best golf course in Hong Kong and consists of three 18 hole layouts, one of which hosts the annual Hong Kong Open, an event co-sanctioned by the European and Asian Tour.